Are you struggling to control frizzy hair? You’re in luck -- your problem has a solution. It’s called a keratin treatment and it’s becoming super popular. Notably, royal bride Meghan Markle is a fan of this hair service. 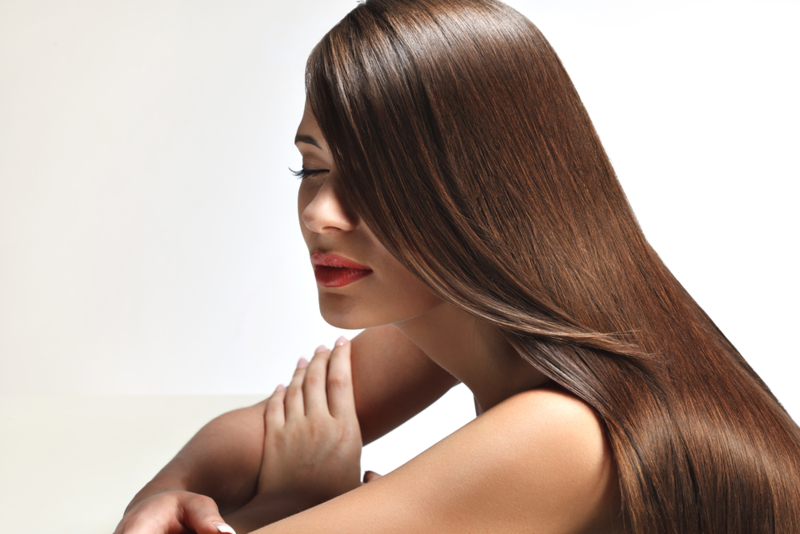 What is a keratin treatment and why is it so popular? It’s a four-step process that leaves you with smooth, manageable hair for up to six weeks. Don’t worry, it’s not a chemical relaxer -- this miracle service is totally safe for your hair. Here’s how it works: keratin treatments do not break any of the bonds in your hair. They do not add chemicals or damage your hair in any way. You will actually leave with healthier, smoother hair than you started with. How is this possible? Keratin is already naturally produced protein in your hair. The treatment simply injects more keratin into your follicle. The added keratin will make your hair shiny, soft and frizz-free. Are you convinced? Awesome. Let’s break down the process. There are four steps that will take about three hours to complete. Like any hair service, the timeline depends on the length and thickness of your hair. Your stylist will begin by washing your hair. Once all extra oils are removed, they will apply the treatment. Once the treatment dries, your stylist will dry your hair. Lastly, your stylist will flat-iron your hair to make sure the keratin is sealed in your follicles. Then you’re done! Stylists recommend keeping your hair dry for the first two or three days. For best results, try to avoid products containing sulfate. You will enjoy frizz-free, beautiful hair for up to six weeks. If you’re struggling with frizzy hair, our stylists can help. Salon d’Artiste has been on the forefront of salon and day spa experiences since 1985. For an appointment, call us on 610.687.2020 or come see us at the salon at Eagle Village Shops at 205 Lancaster Ave. #2 in Wayne. Want to make an appointment instantly? Use our app which is available through the Apple Store, Google Play, or Amazon.